A small-town supervisor of elections criticizes Florida's senior U.S. senator over election readiness. When U.S. Sen. Bill Nelson made a campaign stop in Madison this week, Tommy Hardee asked for a face-to-face meeting — to "eat his lunch." "I was trying to give him as much of a fit as I could," Hardee said. Hardee is the supervisor of elections for Madison County. He remains rattled by Nelson's recent headline-grabbing claim that Russians have penetrated Florida's voting system, a claim Nelson says he can't explain in more detail because "that's classified." 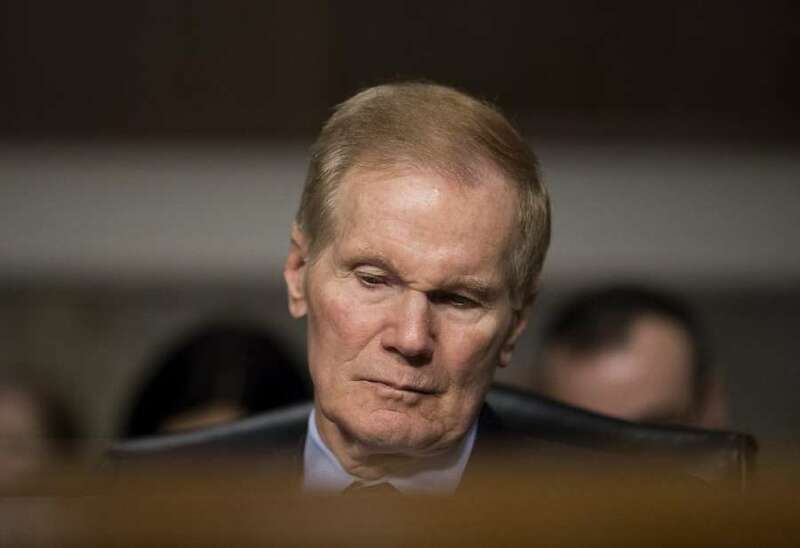 Other senators and two federal agencies have neither contradicted nor confirmed Nelson's assertions, compounding a sense of alarm among elections officials in Florida. In a statewide conference call with elections officials Thursday monitored by the Tampa Bay Times, Hardee told his colleagues that Nelson surprised him even more by saying the Department of Homeland Security wouldn't know if Florida's voting systems had been infiltrated, due to security reasons. "(Nelson) said Homeland Security didn't know about these threats going on," Hardee said. "He said the only people that would know were the CIA and the NSA (National Security Agency)." In a subsequent Times interview, Hardee went further and said he decided to confront Nelson at a campaign event after the senator's staff didn't respond to his phone calls last week. "I'm as frustrated as anybody," Hardee said. "He should have reached out to the supervisors first and given us a head's-up. He basically made a statement, and he's gone. Why isn't he backing us up on this?" Hardee was appointed supervisor of elections in 2011 by Gov. Rick Scott, Nelson's U.S. Senate opponent, who reiterated his criticism of Nelson Thursday and pressed him on his knowledge of Russian meddling. "Bill Nelson needs to come clean," Scott said in Tampa. "He needs to say he received classified information … he was never entitled to," and added" "If he does have classified information, why would he be releasing it through reporters? Why didn't he come work with the state?" A spokesman for Nelson's campaign, Dan McLaughlin, said of Hardee: "I'm only going to hope that his motivation isn't partisan. These comments are strikingly similar to to the partisan political rhetoric of the governor." Nelson's campaign and Senate office did not respond to Hardee's assertion about Homeland Security being in the dark on security threats. Nelson made his initial meddling claim on Aug. 7 and repeated it Aug. 8. He has said he and Sen. Marco Rubio co-signed a letter July 2 to all 67 election supervisors, telling them to seek federal cyber-security assistance, at the urging of Sens. Richard Burr, R-N.C., and Mark Warner, D-Va., on the Senate Intelligence Committee. The state fired off another letter to Nelson Thursday evening, but officials remain patient with Homeland Security and the FBI, who have still not yet responded to an Aug. 10 letter from Scott's elections officials seeking more information about possible attacks. Nelson has declined to say more, and he brushed past reporters in the U.S. Capitol Thursday. "This is nothing more than a Rick Scott appointee continuing to use a public position to push the governor's partisan, political agenda," said Nelson spokesman Ryan Brown, refusing to address the substance of the letter. On his North Florida campaign swing on Tuesday, Nelson also met with Taylor County Supervisor of Elections Dana Southerland, who could not be reached for comment. Times staff writer Steve Contorno contributed to this report.